This summer, Hennepin County and the City of Minneapolis will be installing new bike lanes on 32nd Street between Hiawatha and Minnehaha avenues. 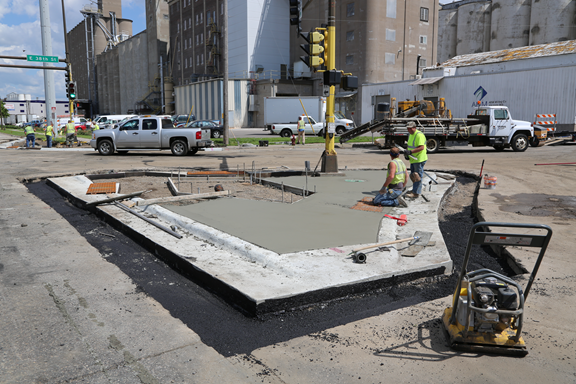 This project is included as part of the Hiawatha Avenue intersection improvement project, which aims to improve pedestrian and cyclist access to and across Hiawatha Avenue. 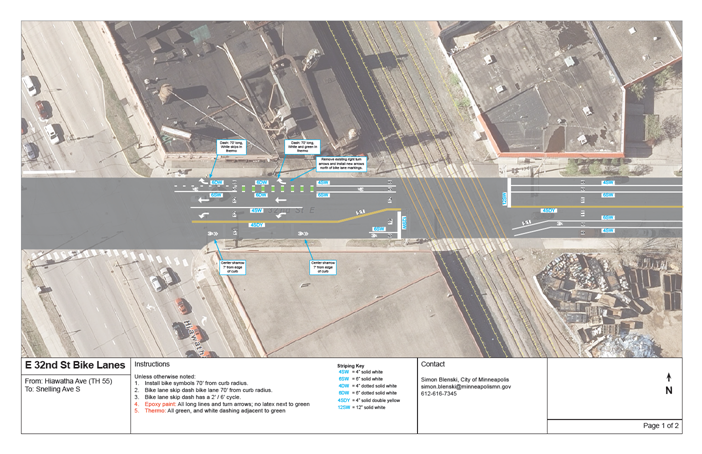 Throughout the planning process for the intersection improvement project, community members and the Corcoran Neighborhood Organization raised concerns about the existing bike friendliness of 32nd Street. The route is a key east-west connection between Longfellow and Corcoran, and also an important route for students who live in Longfellow and attend South High. Yet, the lack of bike facilities on the street made it a less-than-ideal route for bikers and students. The new design will add east- and west-bound bike lanes along 32nd Street within the existing road width. There is a short section – on the east side of Hiawatha Avenue – where road space is limited, so alternative treatments are being proposed. The new lanes will also connect to existing north-south bike facilities on Minnehaha and Hiawatha avenues, improving connectivity in the area. Check the proposed design for more details. Our project consultants have completed the final design for the proposed intersection improvements along Hiawatha Avenue. We are getting final signatures on the project funding agreements, and the project is expected to go out for bid in the winter. The initial project would include 32nd, 38th, 42nd, and 46th streets — 35th and 28th streets could be added depending on the final bids. We expect to begin construction in spring 2014. Click on Project Update for the latest intersection designs.